Psalm 119 is well-known as the Bible’s longest chapter. Since it may be considered too long to memorize or read during personal or family devotions, it may get overlooked almost as frequently as that short Psalm 117 we recently discussed. But we do well to look closely at Psalm 119 as it extols the beauty of God’s Word and the psalmist’s delight in it. 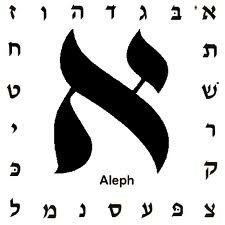 The psalm is an acrostic poem with its twenty-two sections of eight verses following the Hebrew alphabet. In the orginal language, each of the eight verses begin with that section’s letter. The editors of the ESV Literary Study Bible point out that the psalm is an encomium, which is a literary work that praises a general character type or abstract quality. Psalm 119 praises God’s law by elevating it, listing its praiseworthy qualities, showing its superiority over other things, delineating its rewards, and encouraging the reader to imitate it. “The overall effect of the poem is like turning a prism in the light,” write editors Ryken and Ryken, “as we progress through the psalm, we contemplate various facets of God’s revealed Word” (p. 883). They advocate reading the psalm as a collection of individual proverbs. Proverbs cannot be swallowed down in great gulps; they ought to be slowly chewed and savored. We’ll be spending some time in Psalm 119, thoughtfully digesting each of its sections. Or to use the Rykens’ analogy, we’ll be carefully turning the prism to delight in its bright bands of color. to be kept diligently (1-4, ESV). We know that no one is completely blameless or can seek God with an entirely devoted heart. Even our best works are polluted by sin. But these verses show the importance of making a dedicated effort to be as blameless as possible, to walk in the Lord’s law, to keep God’s testimonies, to seek him with a devoted heart, and to try not to do wrong. God has clearly demanded that we diligently keep his law. It isn’t enough merely to know God’s law and be able to quote chapter and verse in support of its letter; it’s far more important to allow the spirit of God’s law to impress itself upon our spirits. God’s law must not rule only our outward behavior in hypocritical piousness, but we must use it as a guide for every inward inclination in true piety. It must make a difference in the way we live with others at home and abroad. The psalmist acknowledges his need. If he didn’t struggle to keep God’s law, he wouldn’t request to be steadfast. But he desires to remain stalwart in the faith with his eyes fixed on God’s commands. Focusing on God’s law and allowing it to guide private as well as public behavior is the only way to avoid shame. The psalmist longs to learn God’s righteous rules so that he my keep his statutes and praise him. This first glance in the prism of Psalm 119 flashes the blinding light of God’s holy Word and demonstrates the need for us to whole-heartedly learn and obey it.